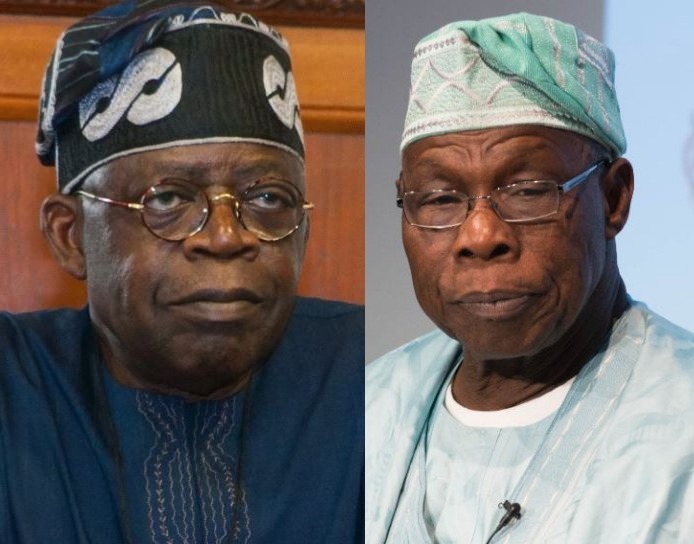 The National Leader of the All Progressives Congress, APC, Asiwaju Bola Ahmed Tinubu, on Monday called on Nigeria to reject Former President Olusegun Obasanjo describing him as an expired politician. Mr. Tinubu who spoke at the All Progressive Congress, APC, rally Maiduguri told the teaming APC supporters that, “I can hear the other expired leaders like Obasanjo, ranting and lying; “Don’t believe, don’t trust him, he is expired,” said Tinubu. Mr. Tinubu regretted the frequent attacks on the Buhari-led administration by former President Olusegun Obasanjo, stressing that the APC administration was cleaning up the mess and rot of the past PDP administrations. “We are sweeping all the cobwebs of the collateral corruption, we are sweeping it away to give Nigerians a new life, new home and a solid foundation; that is what President Buhari is doing and we are 100 percent with him. “In 1985, we gave it to him but he cannot remembers even one day to recognized MKO’s mandate of June 12. Again, when he came back into power, we ask him for the recognition he failed. Who did it; President Buhari. declared June 12 as Democracy day to honor MKO Abiola,” Mr. Tinubu said. “The era of quarreling with Vice President and fighting in the market place is.